I have never been to a conference before. At least, not that I can recall at this point. eyes dart back and forth as brain digs through files Nope, can’t remember ever going to one. LOL That is going to change this year, in a big way. This year, I will be attending two conferences: my Romance Writers of America local chapter conference in September and the 20BooksTo50K® conference in November. The chapter conference is called the Cleveland Rocks Romance conference and is held in Strongsville, Ohio. I’d link it for you, but the information on the site is still from last year. It will be another month or so before the site is updated. There are two reasons I’m going to this conference. One is that I am chapter president this year, and I have to give a speech. Heaven help us all. The second reason is that Jane Friedman is the speaker. Ms. Friedman is one of those people whose emails I open every time they hit my inbox. She shares a ton of good information about indie publishing, especially the business side of things. I plan to take a notebook and pencil or pen and take copious notes. I’m super excited about listening to her! I’m looking forward to the November conference even more. The 20BooksTo50K® Facebook group is one of my go-to groups. They have a large Google doc with so much marketing information it will blow your mind, as well as some publishing info. The group is tightly run. There are a bunch of moderators and a list of rules, and those mods jump on rule breakers in an instant. They don’t tolerate drama, fear-mongering, or dissing the vendors. For that, I’m grateful. It’s one place I know that I can go and not be bombarded with hysteria and nonsense. A calm oasis in a seething ocean of publishing insanity. The conference they run has become rather famous, it seems, as has the Facebook group. They had 850 seats available this, the third year of the conference, and it sold out in 15 or 20 minutes. I had my information on one screen in a Word doc on my extra monitor, and my email and Facebook open on my laptop for a full two hours before registration opened. I got in. Others ended up on the waitlist. What will this conference offer me? I’ll hear a keynote from Mark Dawson, a million-dollar-selling thriller author. I’ll learn about using keywords for advertising from Dave Chesson, who runs Kindlepreneur and KDP Rocket. I’ll learn about writing better blurbs. I’ll hear inspirational stories from other authors, sharing how they made a living with their writing. 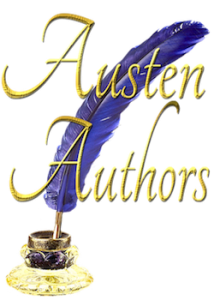 I’ll make connections with other Regency Romance authors, and possibly a couple JAFF authors. Mostly, I’m excited about this conference because every single author that will be there has one goal that is similar to mine: to make a very good living as a full-time author. I guess that’s the biggest difference between the two conferences in my mind. 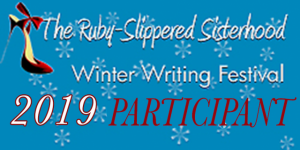 RWA is nice, and it does great things for romance authors (for example, picking up the tab for the authors that were sued in the Cockygate scandal and getting them a lawyer) but it seems to be more an organization for unpublished and traditionally published authors. I greatly enjoy my local meetings, and if not for them, I’d have gotten out of the house far less often the last two or three years. But, they lack the energy and the common goal that 20Books members have. Anyway, I am putting money back to pay for gas, meals, dog sitting, etc. for these conferences, so that I don’t have to worry about where it’s all coming from. One can never predict sales with any real accuracy, and I do not want to wait until the last minute and have to worry. It might mean driving Wickham a bit longer, but if that’s the case, I’ll do it. Have you ever been to a conference? What was it like? Do you have any advice for a first-time conference goer?